Jackie Chan has admitted to being a 'total jerk' in his personal life by treating women badly and letting his rage get so out of hand he threw his baby across the room. The martial arts superstar said that he used to strut around in a gold chain, sleep with prostitutes and drive drunk all the time - crashing a Porsche one morning and a Mercedes Benz later that night. In his explosive new memoir, Never Grow Up, published on December 4, Chan says that he was 'terrible' with his first girlfriend and would come home and go straight back out gambling and drinking if he saw that she was also home. When Chan met his future wife Joan Lin he was so paranoid that she was a gold digger that he hid his money from her - and later cheated on her with actress and former Miss Asia Elaine Ng. Chan also reveals he was so busy with his career that he was barely around for his family and chucked his baby son Jaycee into a sofa during a fight. The martial arts star writes that he looked himself in the mirror and said: 'You're a real b***ard' and vowed to change his ways. Chan, 64, blames his behavior on his insecurities and his immaturity but despite his candidness, Chan fails to mention his estranged 19-year-old daughter, who claimed she was left homeless by 'homophobic parents' months after she revealed that she is a lesbian. Chan's daughter is Etta Ng, who he had with former beauty queen Elaine Ng Yi Lei after having an affair in 1999 while he was married to Taiwanese actress Joan Lin. 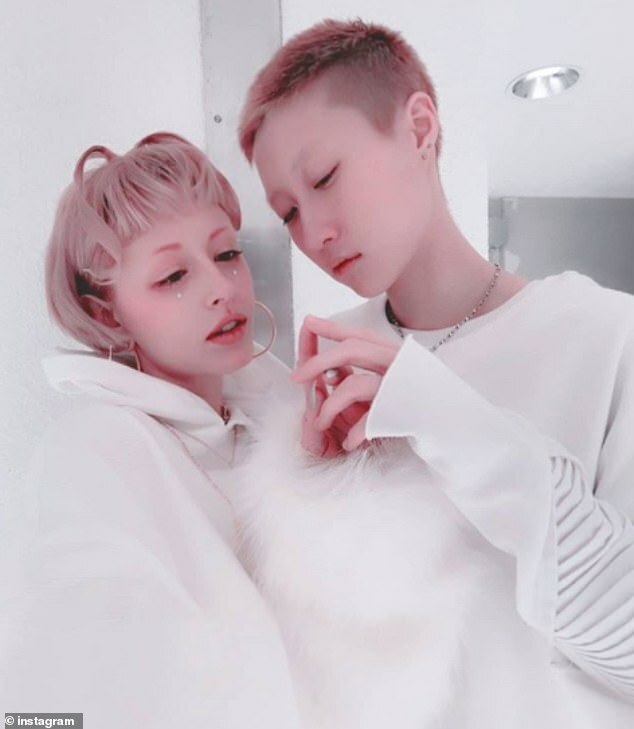 Chan has never reportedly sought a relationship with his daughter, and this week Etta married her girlfriend, Canadian Andi Autumn and wrote on Instagram that she 'never felt love' during her childhood. In a YouTube video that went viral last April, Etta and Andi claimed they had 'been homeless for a month due to homophobic parents'. 'If she likes it, that's fine,' he said. Chan went from growing up in a working class family in Hong Kong to become the second highest paid actor in the world, according to Forbes, and raked in $50 million last year - with only Robert Downey Jr ahead of him. His personal fortune is estimated at $350 million on the back of hits like Rumble in the Bronx and Rush Hour. In 2016 he was presented with an Oscar for lifetime achievement. Chan was born Chan Kong-sang and learned martial arts from his father who sent him to a brutal boarding school because he was a bad student. Chan writes that it 'fills me with shame' that he never actually learned to read or write or do math because he was so busy playing pranks. Even today his black American Express card, which has no spending limit, has no signature on the back because he can't write it. At the China Drama Academy, Chan was forced to learn martial arts and got up at 5am every day after just six hours of sleep. Students also learned acting, singing and performing and were able to get parts in movies but their master took $60 of the $60 they earned each day. When he was 15, Chan met his first love, a girl he calls Chang who stuck with him even though her parents disapproved of him. But he was a 'terrible boyfriend' who took any job he could get, often traveling away from Hong Kong because he didn't want to be with her. Chan admits he behaved like a 'rebellious child, or a wild horse throwing off its reins'. Sometimes they would be out for a stroll and he'd pick a fight just for fun. When they broke up; Chan found out that Chang was running a clothing store and sent his friends in to buy her clothes to help her out. When she found out she shut the store down because her only customers were from Chan and she didn't want his money. Looking back Chan says he feels 'ashamed of myself' for the way he behaved but Chang loved him so much that years later when she heard he was in financial trouble she gave him $2,500. 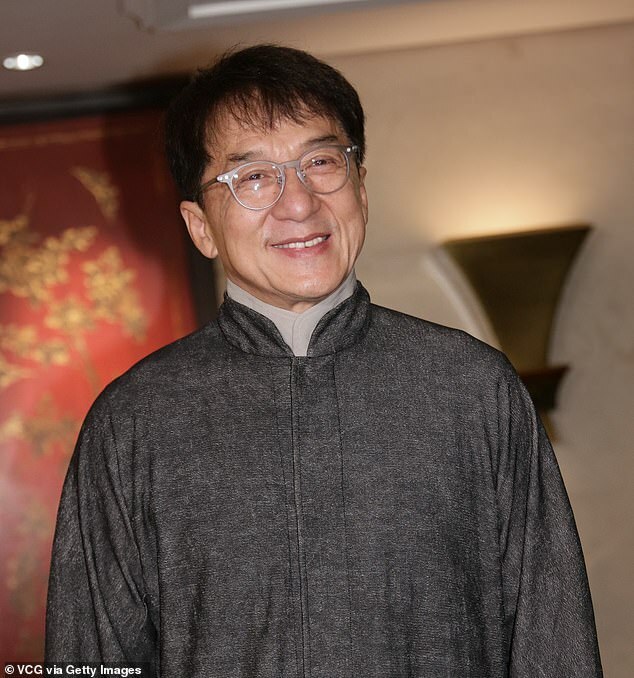 Chan's career slowly began to take off in 1973 when he was cast as an extra in Enter the Dragon, the Bruce Lee film that brought martial arts to a Western audience. Chan got jobs as a stuntman but he blew all his money on gambling and prostitutes, including one woman he regularly slept with, who he only knew as 'Number Nine'. He writes that working as a stuntman, we 'all knew that if something went wrong we wouldn't live to see the sun rise the next day. We had a short term mentality which means recklessly spending our money'. Chan became a fight scene director through the famous Hong Kong production company Golden Harvest thanks to his friend Sammo Hung, who went to the same school and was more established in the industry. Chan starred in a string of dud films until he became an overnight success in 1978 with three movies: Snake in the Eagle's Shadow, Drunken Master and The Fearless Hyena. Golden Harvest offered him a $650,000 contract and people began asking him for autographs on the street. In his book Never Grow Up, Chan writes that he had a 'big chip on my shoulder' and now that he was rich he was going to take it out on people, starting with a girl at a designer clothing store who looked down her nose at him when he was poor. Chan writes that he went back to the store with his entourage and tried on dozens of shirts, making her take them all out of their boxes as he bossed her around. He took $63,000 in cash and bought his entire stunt team the most expensive watches he could find. Chan writes: 'I started to carry large amounts of cash at all times. After you live in poverty cash gives you a sense of security. I like having lots of people around me and every meal was with a big gang. 'Around 10 years ago I spent $2 million in one year paying for other people's meals. I gave out extravagant gifts too; watches, cars, custom-made leather jackets, cases of expensive wine'. Chan bought a tiger cub and fed it milk and brought it to work until it slashed his face one day. A friend of his gave him a hawk that used to perch on his shoulder and he bought two huge Saint Bernard dogs, which cost him $400 a month on food. His bad behavior continued when he dated Taiwanese actress Teresa Teng who was far classier than him and made him feel inadequate. To compensate Chan acted out like when she invited him to a private room in a posh French restaurant. Chan writes: 'She suggested I have my steak cooked medium and I said: ''No, I want it well done''. 'She ordered red wine; I insisted on having beer. When our soup arrived she dipped her spoon elegantly into the bowl while I picked up my bowl and drank straight from it'. Chan wolfed down his meal so fast that Teng pretended she was done too out of politeness and as they departed Chan told her: 'Never bring me to this sort of restaurant again'. Chan writes: 'I behaved so badly because of my deep insecurities. Ever since I was a little boy I'd been looked down on by rich kids. 'Any whiff of snobbishness or superiority set me on edge. This attitude reflected by relationship with Teresa. But it wasn't her fault. She'd done nothing wrong and I'd been horribly unfair to her'. Around this time Chan started to have more say over the kinds of films he wanted to make. He developed his signature style, which involved comedy as well as martial arts and 'every man' characters viewers could relate to. He also became famous for doing his own stunts - something that led to him getting seriously injured numerous times such as shredding his hands when he slid down a Christmas tree covered in lights. His worst accident was a brain injury he sustained while filming his movie Armor of God. Chan writes that he fell out of a tree and hit his head on a rock, causing him to bleed out of his mouth, ears and nose, and his crew feared he would die. A specialist surgeon from Switzerland happened to be at a conference in the former Yugoslavia, where they filming, and operated on him - and he was back on set a week later. Chan met actress Joan Lin, who he calls 'the love of my life', while in a trip to Taiwan, where she is from. Chan says that she was a 'beloved actress with a respectable image while I was a vulgar kung fu guy who was unworthy of her'. They tried to keep their relationship secret but in 1981 she became pregnant and they decided to get married at a rooftop coffee shop in Los Angeles. Chan admits that he 'worked through her whole pregnancy' and didn't visit her in California once where she was preparing to give birth. He writes that he foolishly believed his sexist friends and thought that Lin might have got pregnant on purpose so he 'constantly thought of ways to keep my money from her'. Thinking back now he calls his behavior 'wicked'. Chan calls their marriage 'less than conventional' and says that being apart from each other for so long was actually the key to their relationship. He writes: 'I was selfish and didn't know how to empathize with others. I was also too easily influenced. Yet Joan set me free to make my own way. I respect her a lot and am grateful to her for sacrificing so much for me'. That didn't stop Chan from cheating on her with Ng and when the affair became public in 1999 it scandalized Hong Kong. At the time Chan said publicly: 'I have made a mistake that many men in the world make'. Privately he writes that he looked at himself in the mirror and said: 'You're a real b***ard'. He called a family meeting and told his wife and Jaycee, their young son: 'I've made an unforgivable mistake and I don't know how I can explain it, so I won't'. Lin started to cry and Jaycee glared at him - but they both forgave him. That was far from the only family drama. Years earlier after fighting with Lin, Chan took it out on Jaycee and picked him up with one hand and threw him across the room. Jaycee, who was a toddler at the time, went crashing into the sofa, leaving Lin 'terrified'. Chan apologized and said he would never do it again. Reflecting on his family life Chan says that over the years he has admitted that 'I've done well by a lot of people but not my own family'. He says that 'I've not been a good father or a good husband but I did my duty to my son and his mother'. But he doesn't address Etta, his daughter with Ng, as if he is trying to erase her from his personal history. Ng has since claimed that Chan has given her no money and that she has even had to cover their daughter's school fees. Etta and her mother have a troubled relationship and she has twice called the police on her. Speaking of her father, Etta has said: 'He is not my dad. I have no feelings for him. He is my biological father but he is not in my life'. Jaycee, a musician and actor, has been in trouble too and in 2014 he was arrested for marijuana possession. He was jailed for six months and his father publicly apologized for his behavior. Chan finally broke into Hollywood in his 40s with Rumble in the Bronx and hit the big time with Rush Hour alongside Chris Tucker. He was flattered to be invited by Sylvester Stallone to the set of his film Demolition Man where he discovered that Stallone had tapes of all his films. Chan was stunned when the crew said that whenever they ran out of ideas they just watched one of his movies. Since then Chan has appeared in Kung Fu Panda, The Tuxedo and a remake of The Karate Kid, bringing the total number of films he has been in to more than 200 over 50 years in the movie business. Along the way Chan has attracted obsessed fans like the man who gets the names of his films tattooed onto his body. Another woman bought a one way ticket from the Philippines to Hong Kong and stood outside the front of his office every day. She then stalked him around the world, turning up in California where she tried to get into his hotel room by saying she was his girlfriend. Chan writes that he was conned out of $2 million by a business associate but bizarrely, he did not mind. Yet when a close friend cheated him out of a tens of thousands of dollars from the sale of a Rolls Royce he sued and bankrupted him. Chan's success helped a generation of Chinese stars like Michelle Yeoh and Jet Li to make it in Hollywood and for directors like John Woo to establish themselves. Reflecting on the changing movie business, Chan writes: 'Hollywood learned from us (the Chinese) then became better than us and now they don't need us. 'If we were to go head to head with the Hollywood stunt people these days, do you think the Chinese would win? No way'.